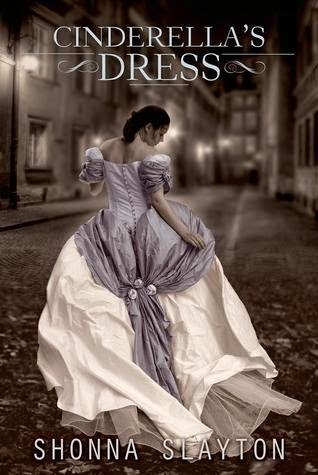 Cinderella's Dress by Shonna Slayton is available at Amazon, Barnes and Noble, and BooksAMillion. When I received an advanced copy of this book in exchange for a review, I worried about the romance because that's not my cup of tea. I was pleasantly surprised that I didn't have to skim through pages of wishy-washy crushing. The romance is there but it's the romance of the Cinderella tale that inspired this book and I wound up liking the way the romance unfolded. The story takes off slowly but it didn't bother me because the story had a comfy feel to it - something I'd read on a rainy afternoon. On the flip side, this book definitely promises WWII and war implies action. The story reads more like a peek into a normal teenage white girl's life during the 1940s (except a normal girl would probably think about the war more). I expected more information about WWII but the war remains vague and in the background, affecting Kate, the main character, by influencing her interactions with other characters who slip off-stage to deal with the war. I love psychobilly so I enjoyed the references to old slang that I frequently use. I also loved the introduction to Polish words with pronunciations and definitions included even though I have no desire, reason, ability to learn Polish.